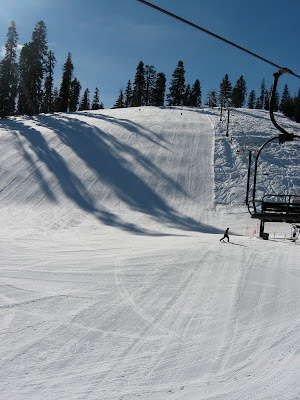 December 18, 2009 marked opening day for Badger Pass Ski Area in Yosemite National Park. It also marked the beginning of the Mountain Area Ski School or MASS program, which trains volunteers to effectively teach youth to ski and/or snowboard. 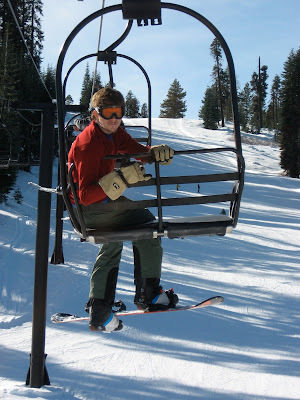 This year CW staff are looking forward to being involved in the Wawona Elementary School's Winter Sports program and were eager to receive helpful pointers on teaching others how to excel at a winter sport. Anthony Handal, Derek Wright, Ryan Kloosterhuis, and Donnie Keele attended the all-day training seminars which provided practical ways to teach a beginner the essential "building block" skills of snowboarding. Of course, there was some free time to check out what Badger Pass had to offer. "It's pretty small, " said Derek Wright "But it's a great place to teach somebody how to get into the sport." 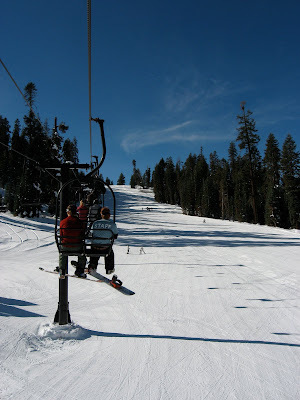 "I think it's awesome that we're this close to a ski area," added Anthony Handal. By the end of the day, staff had learned some valuable teaching tips and enjoyed a few runs before heading back to camp. Who write this stuff? It's dog-gone journalistic. DK, is that you? I have a feeling Anthony wouldn't quote himself and Derek is much more poetic. You're the only one left. Thanks for the intel.